DeLena Ciamacco: The Real Estate Expert: OPEN HOUSE IN WESTERVILLE! 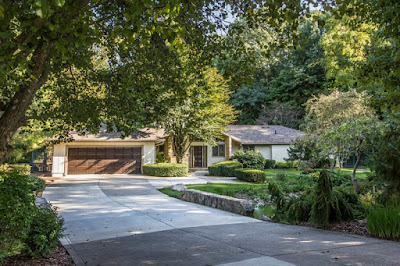 Rambling Ranch home with 6,300+ SF on 2 finished levels nestled onto half+ acre, very scenic and private wooded lot with stream, bridge and ponds! Den/BR with built-in bookcases and Full Bath. Huge, fully applianced updated Kitchen with wrap around oak cabinets, new granite counters and oversized island. 2 Dining Rooms. Two-Story, all glass Atrium in the center of the home. Giant sunken Great Room with wood planked walls and ceiling. Stone accent walls around the home. Expansive Masters retreat with whirlpool Bath and walk-in closet. Finished, walk out lower level (perfect In-Law/Teen Suite) has 2 additional Bedrooms, 1.5 Baths, Billiards Area, Kitchenette and Bar. In ground heated pool, new carpet, interior/exterior paint, newer roof, decks and more! Truly one-of-a- kind! 4-5 BRs, 4 Full and 1 Half Baths. Westerville Schools. Only $599,900!